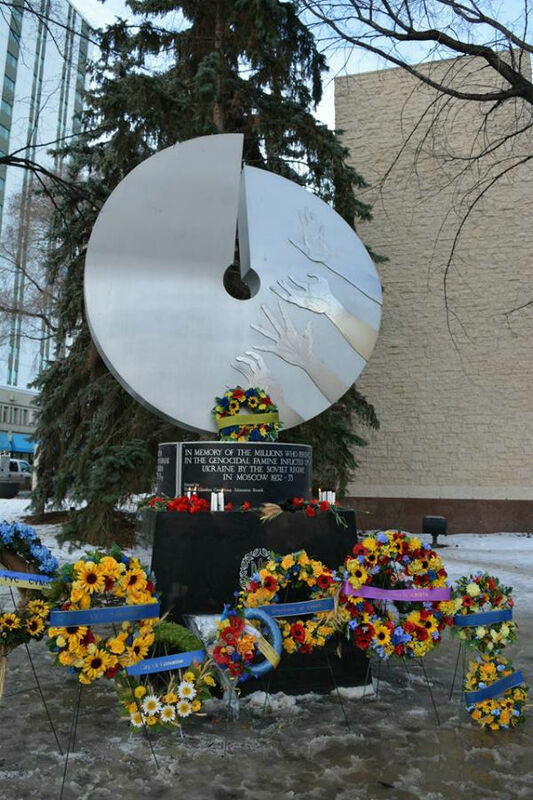 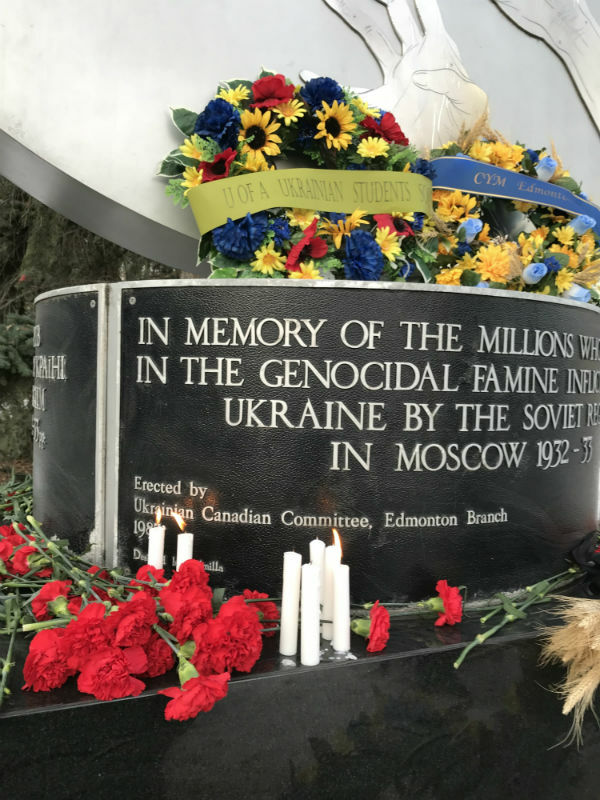 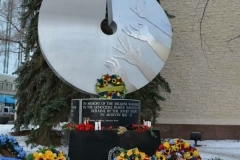 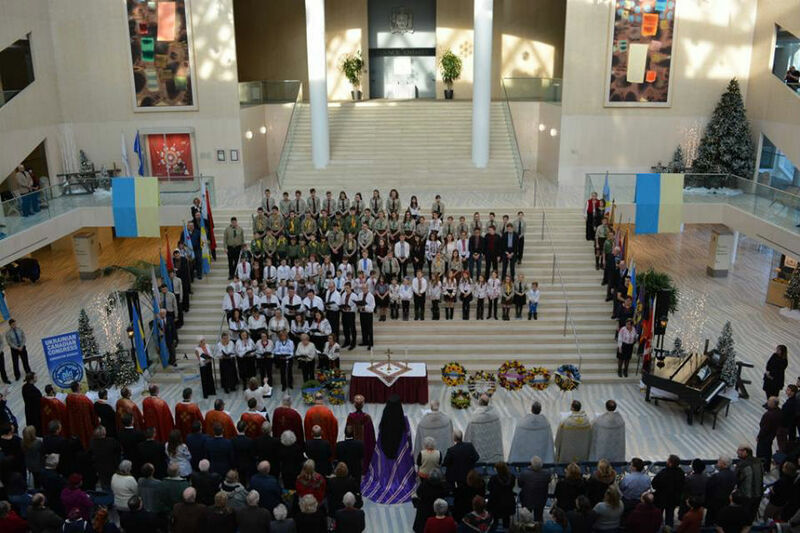 25th of November 2017 – Commemorate of Holodomor. 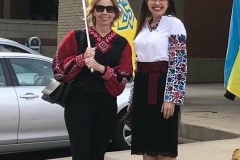 The Vyshyvanka is a traditional Ukrainian garment that is recognized worldwide. 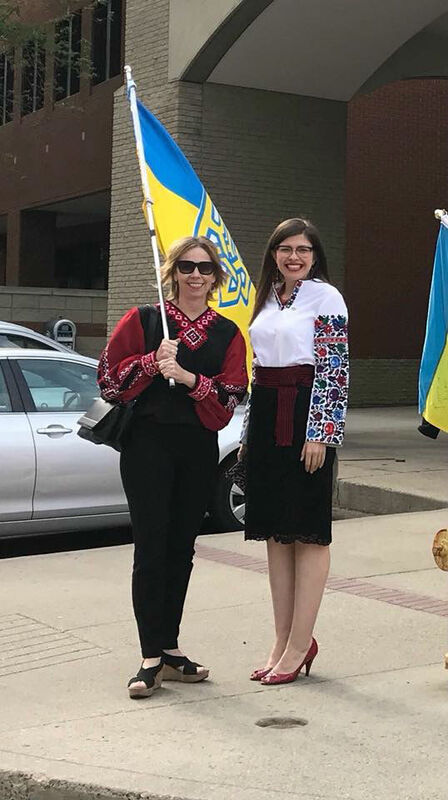 Across many countries, Ukrainian heritage is celebrated by parading and wearing Vyshyvanka on this day. 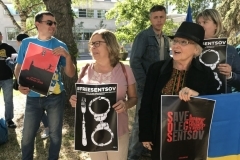 Oleh Sentsov was sentenced to 20 years in prison in a farcical show trial and has since declared a hunger strike. 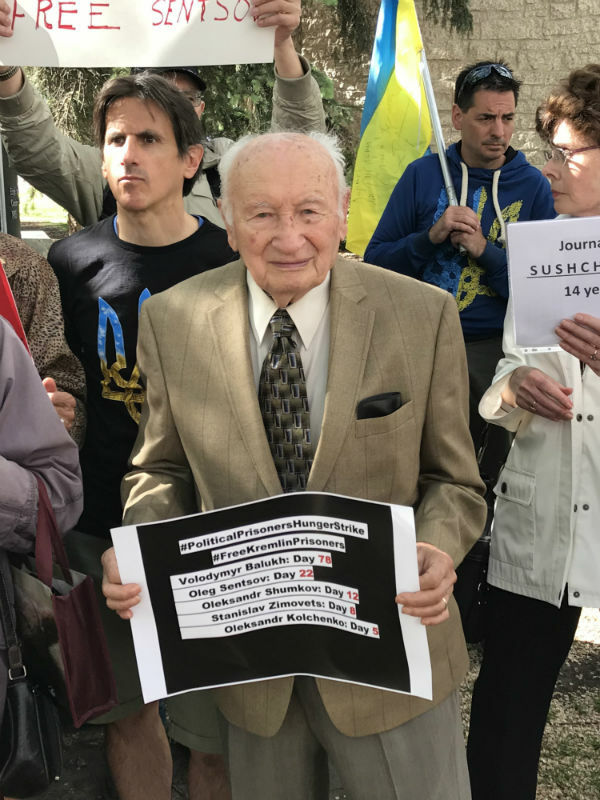 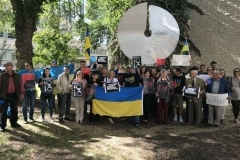 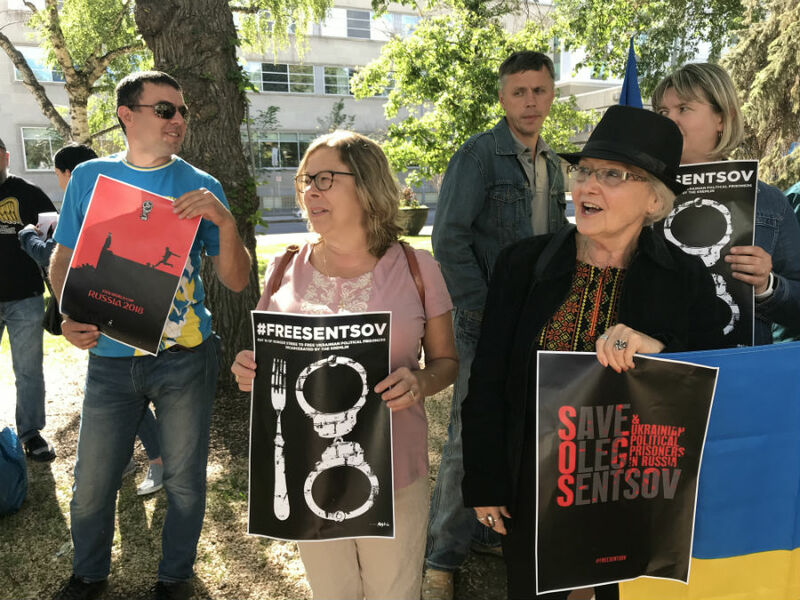 The Russian regime has illegally imprisoned over 50 other Ukrainian citizens, including Volodymyr Balukh, Oleksandr Kolchenko, Stanislav Klikh, not to mention the many others. 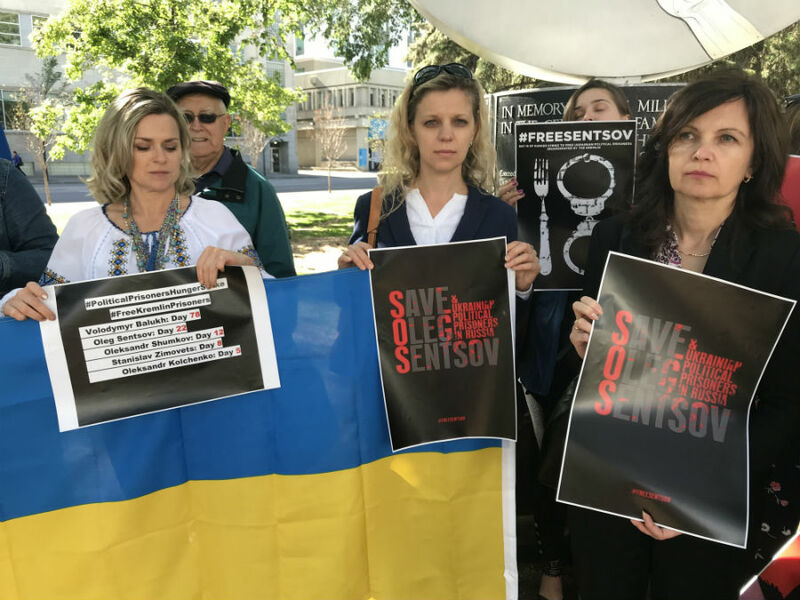 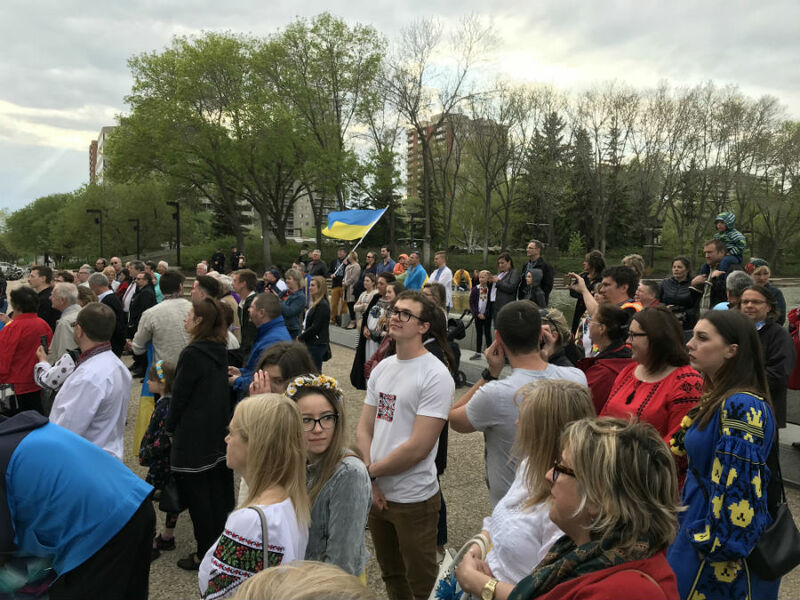 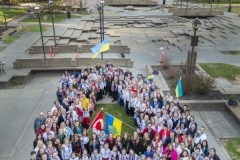 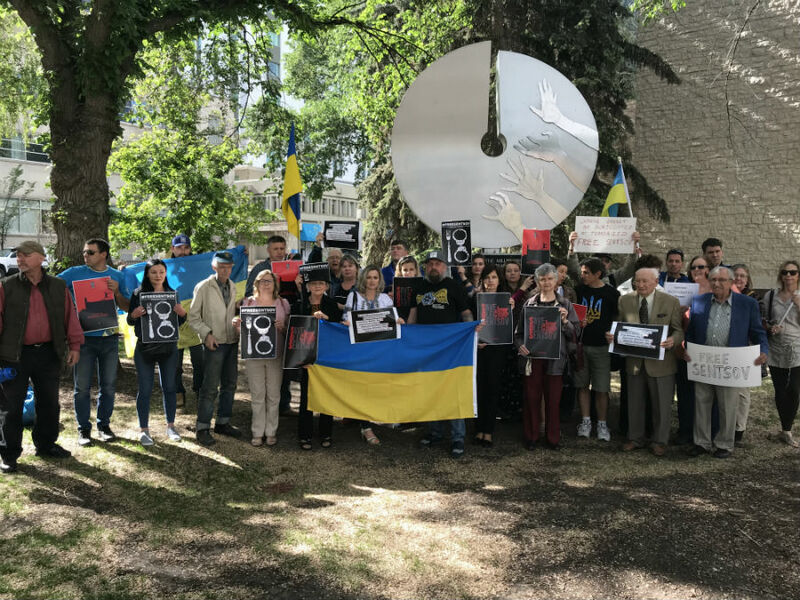 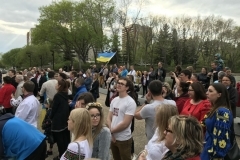 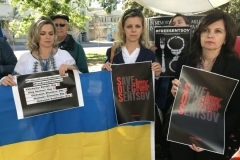 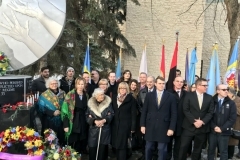 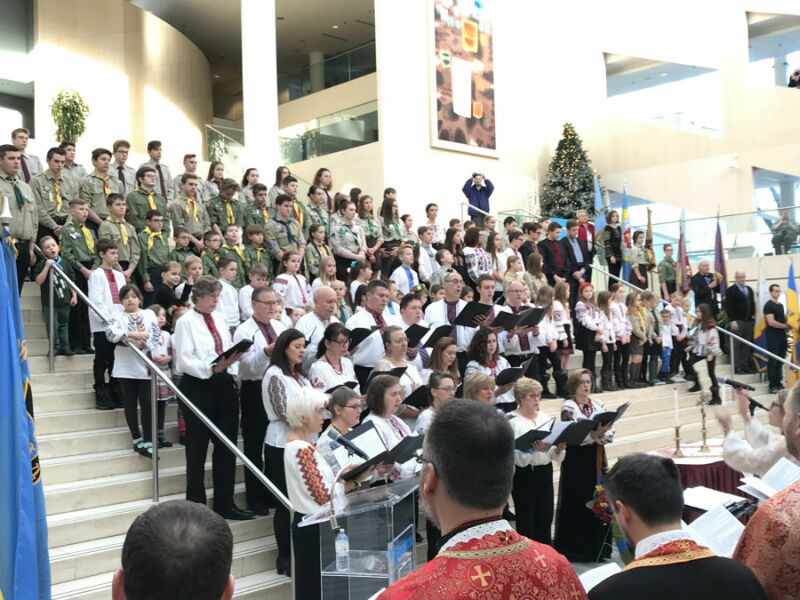 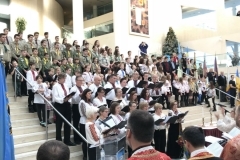 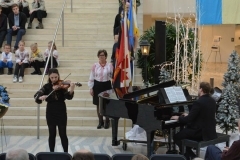 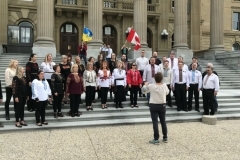 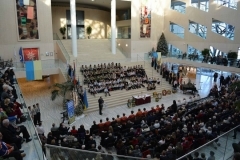 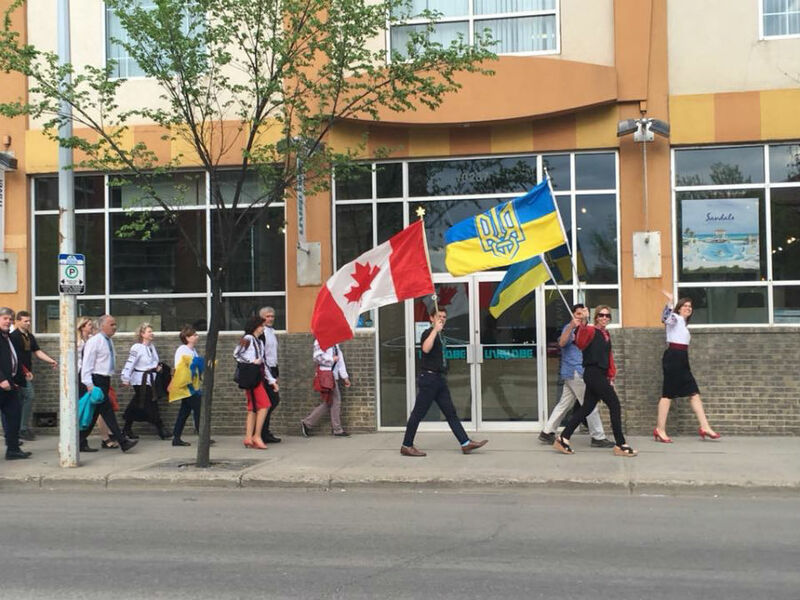 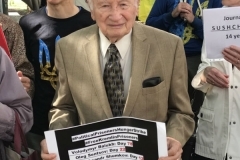 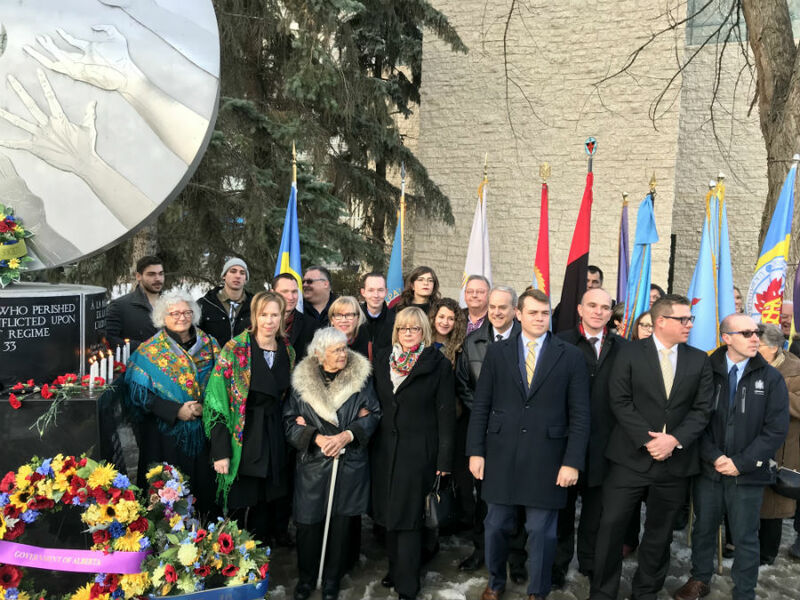 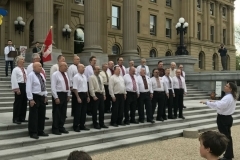 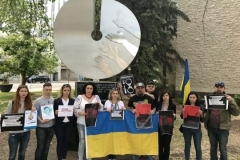 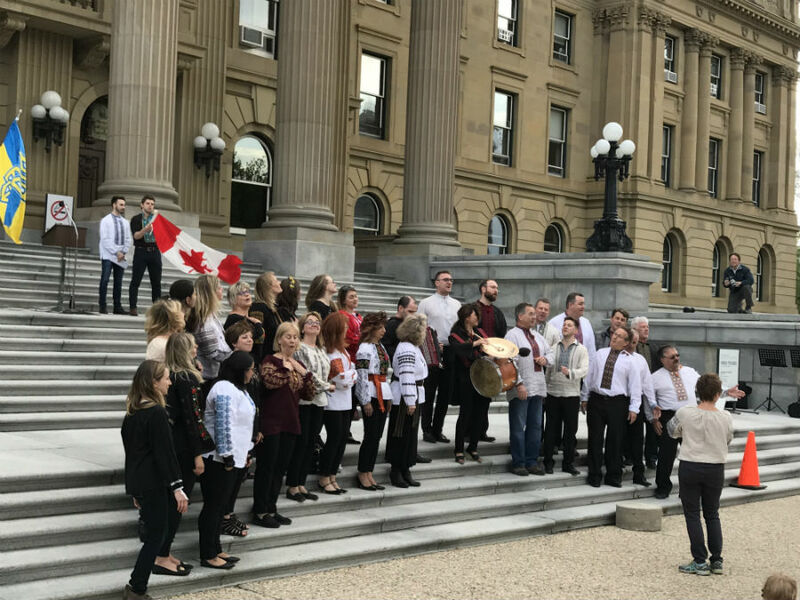 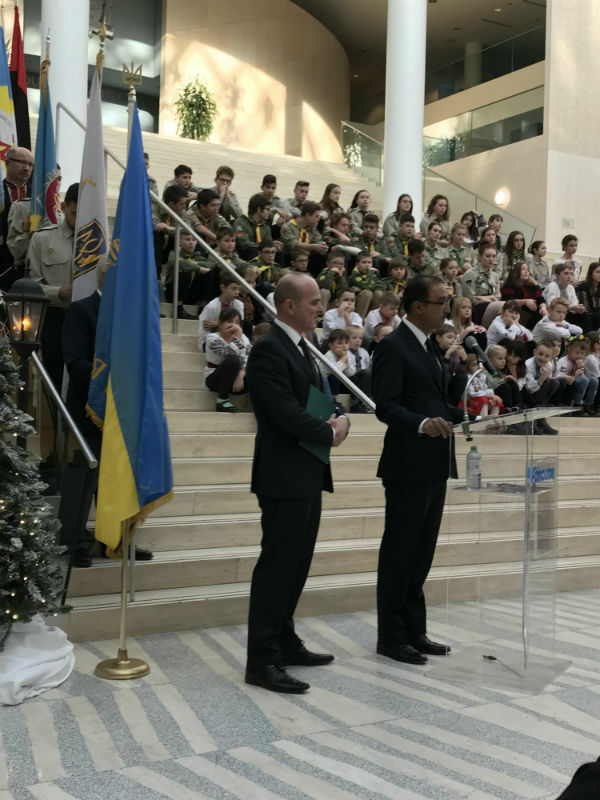 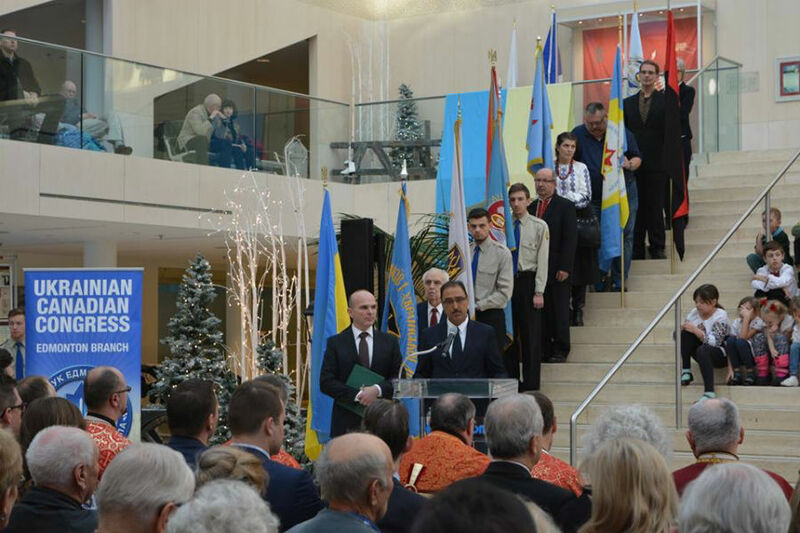 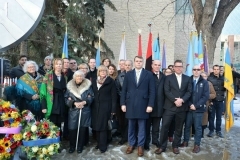 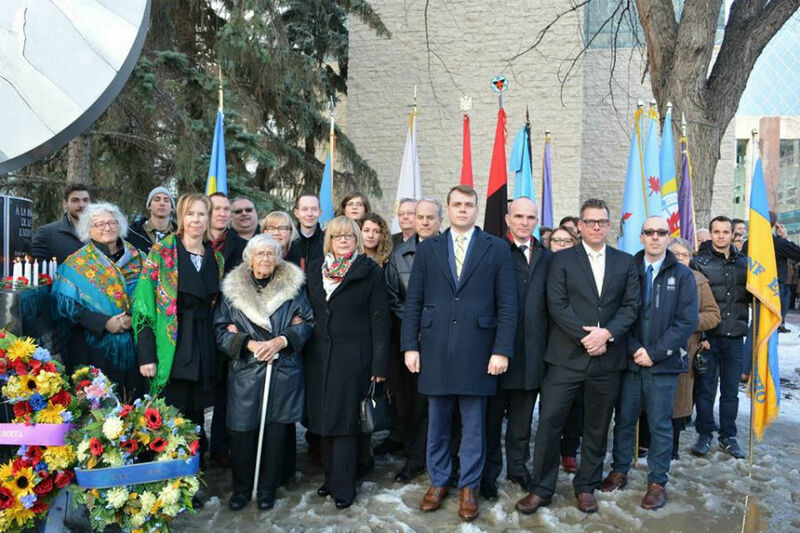 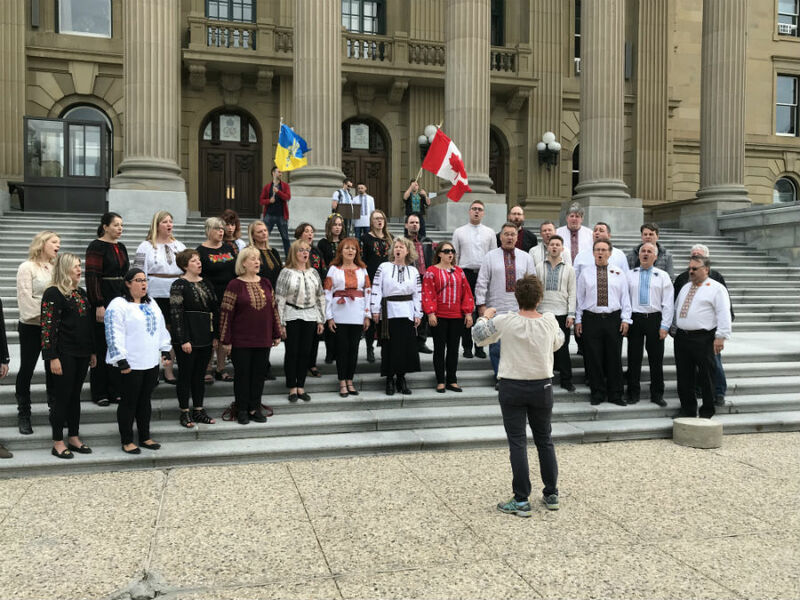 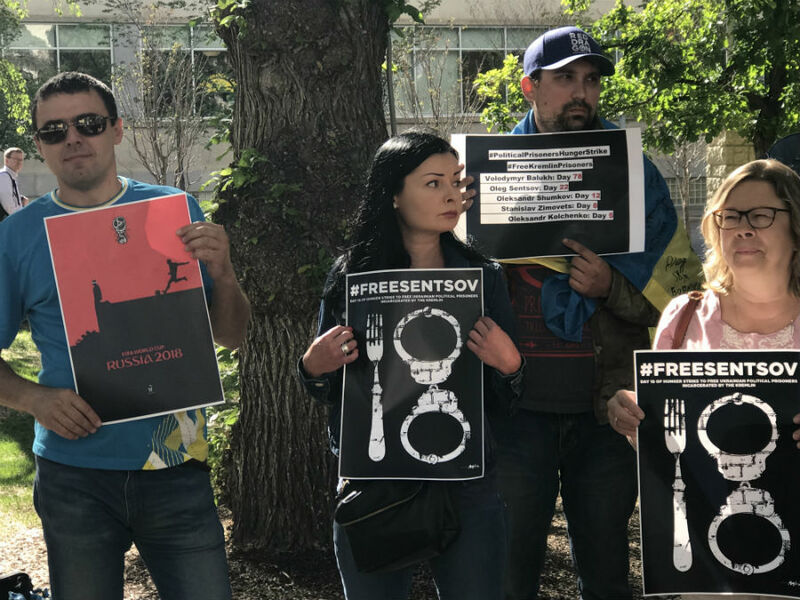 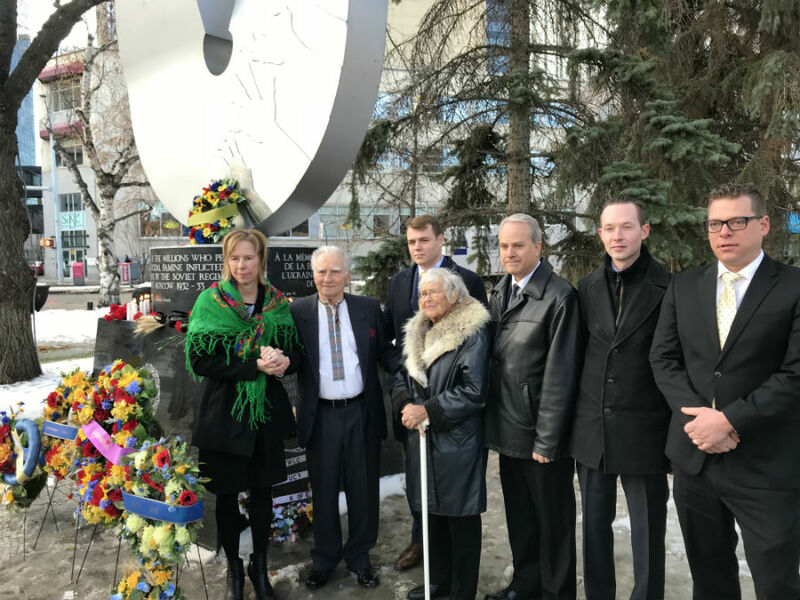 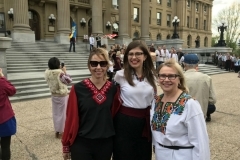 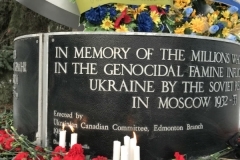 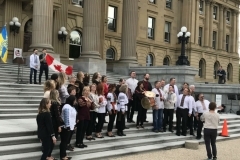 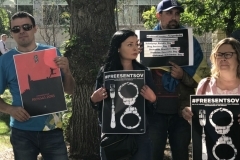 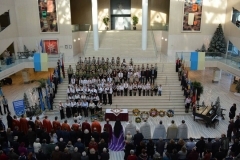 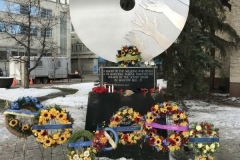 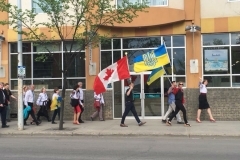 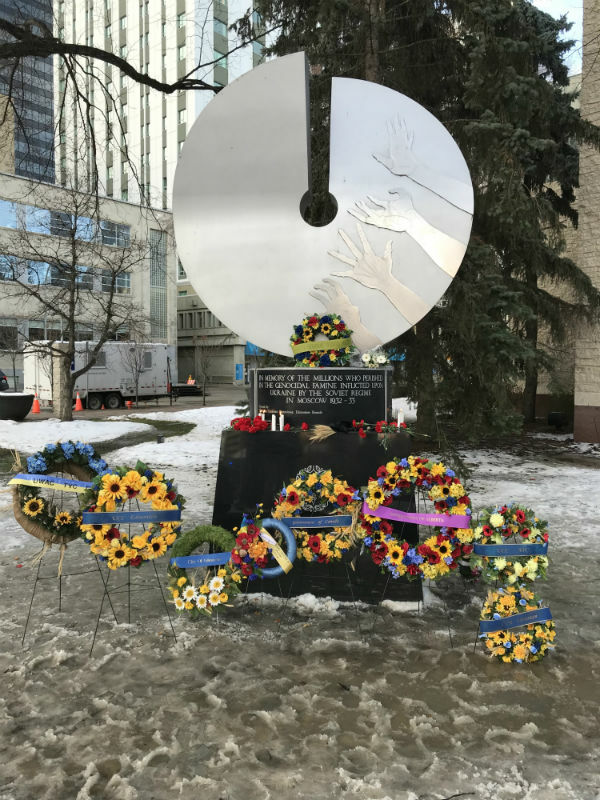 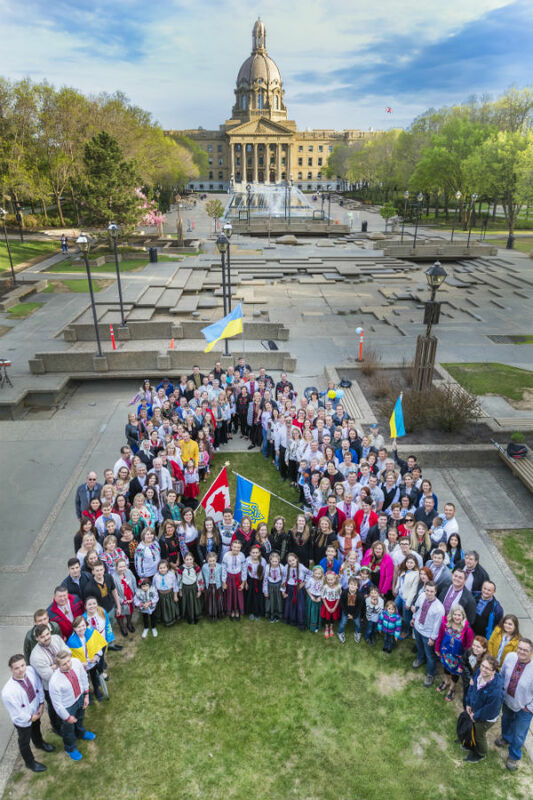 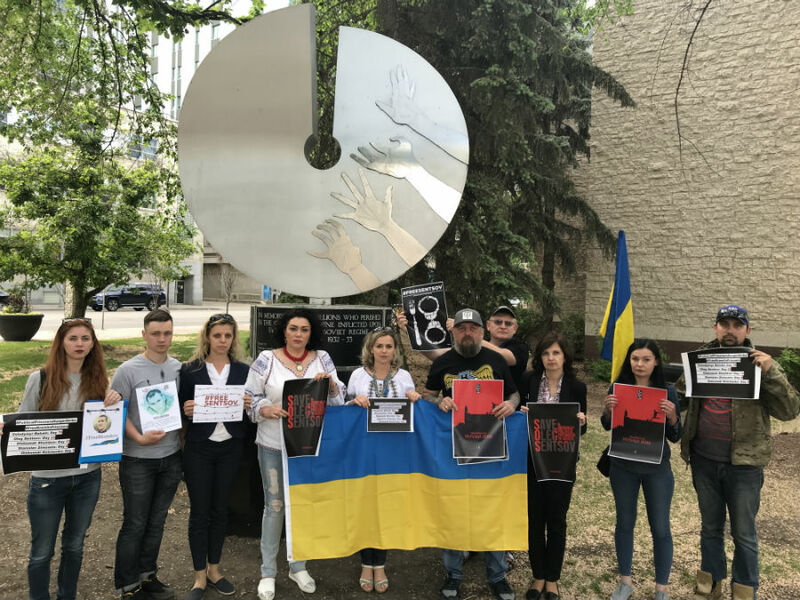 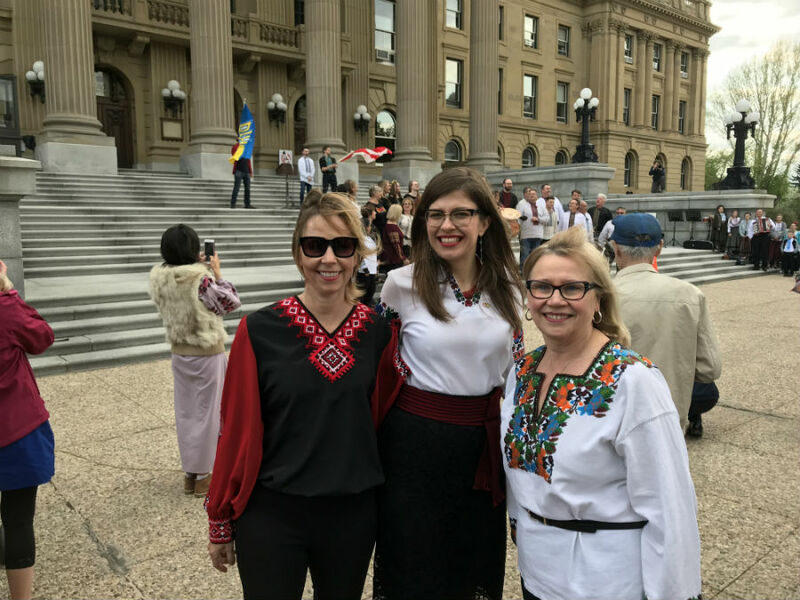 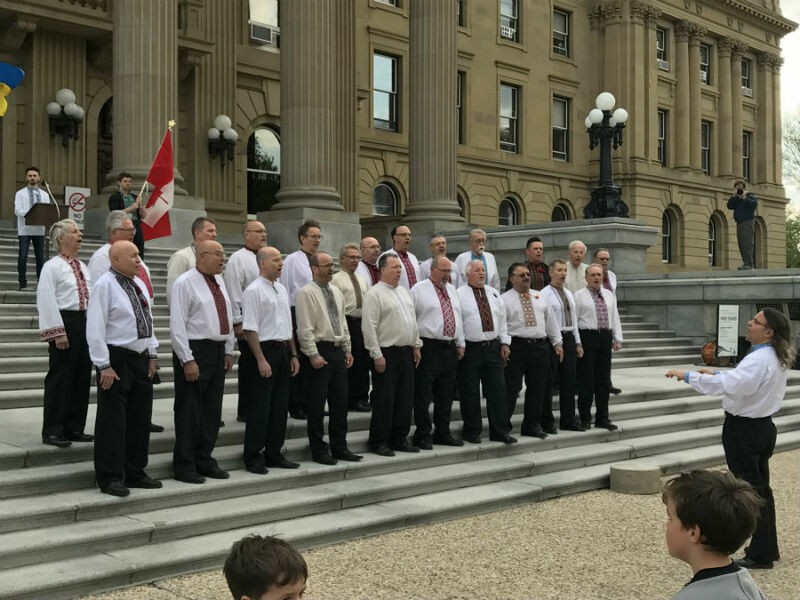 Edmonton along with other cities across Canada held demonstrations demanding the release of illegally imprisoned Ukrainian citizens. 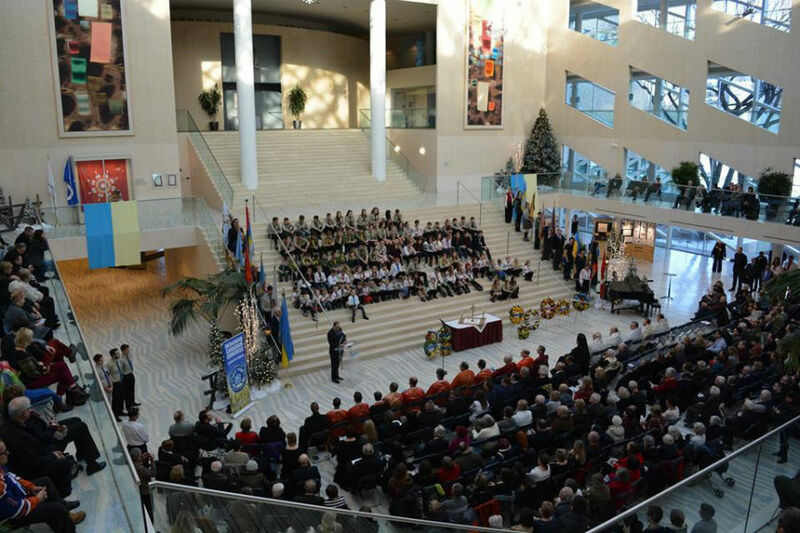 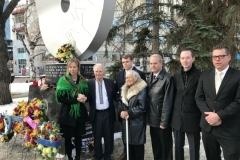 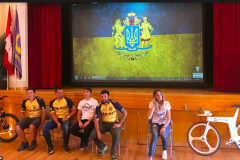 Ukrainian War Veteran cyclists from Ukraine visit Edmonton as part of their Canada-US tour. 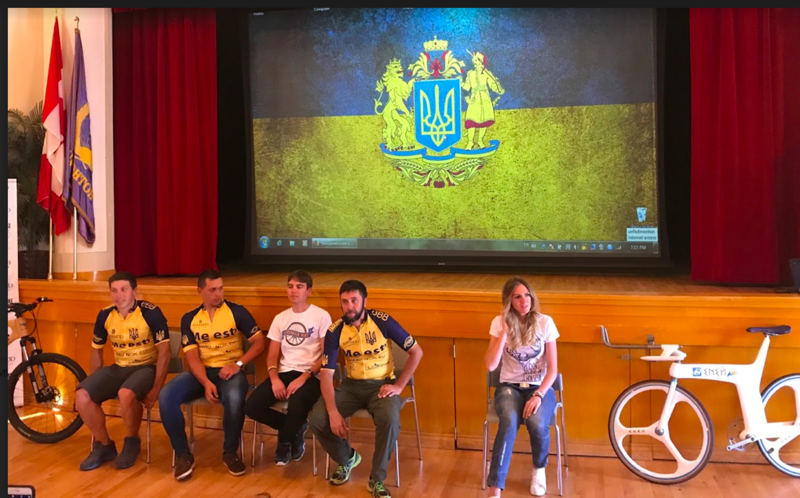 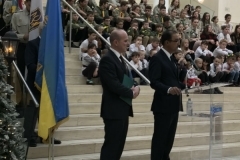 The group of cyclist took on the challenge to bike 10,000 km to raise awareness about the need for peace in Ukraine and in other places where civilians are currently under military attack.